When Oxford University Press announced 2015’s “Word of the Year” last month, it made headlines because for the first time ever, it was not a word. To everyone’s surprise, the Word of the Year was the “Face with Tears of Joy” emoji, claimed to be “the most used emoji globally in 2015.” Why is this such a big deal? It calls attention to the overall dominance of visual and mobile media as the leading platforms for communication in 2015. Instead of typing out text to convey our messages, we now rely predominantly on a preset collection of pictographs to communicate for us. The rising popularity of emojis is only one example of how today’s generations are moving away from the written word and toward visuals to connect with one another. Moreover, companies are taking notice of consumers’ preferences. 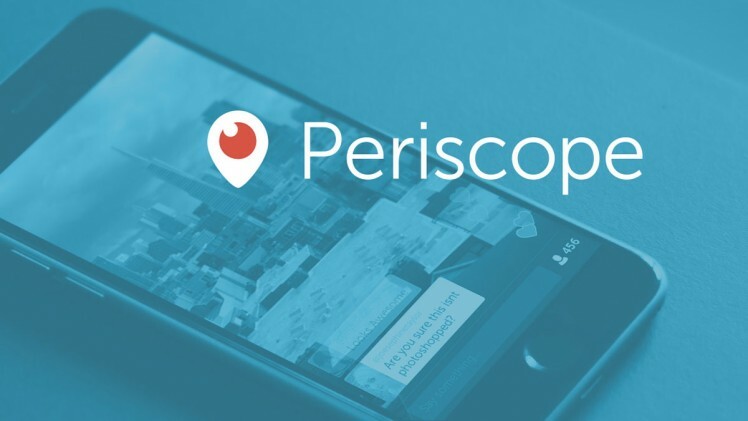 One up and coming service that garnered attention in 2015 is Periscope, a mobile app which revolutionizes live video broadcasts in the same way Twitter became the leading choice for status updates. Periscope users can follow friends, artists, and celebrities to watch their live video streams and interact with them in real-time. Acquired by Twitter in January and then publicly launched in March, the app has already surpassed 10 million followers and was just named App of the Year by Apple. Periscope’s rapid success proves that visual media is becoming the most reliable way to captivate audiences and engage people in social settings. Popular phone app Snapchat also made upgrades in 2015 that turned news and media consumption more visual. In addition to its standard photo and video messaging features, it now offers interactive content from major media publishers like CNN, BuzzFeed, Cosmo, Comedy Central, and Food Network. Each publisher produces fresh content on a daily basis, using short video clips, GIFs, photo galleries, and interviews to deliver news and entertainment to the Snapchat user base. Snapchat users, who send an average of 2 million photos and videos each day, were extremely receptive to this new media feature, which allows them to receive information from a variety of sources and keep up to date with current events in a timely manner. The Snapchat Story feature, which compiles and publishes videos submitted from users around the world, also allows people to connect real-time with events as they are happening and is an example of today’s increasingly democratized news sourcing. Our screens have become the ultimate platform for information exchange and consumption. Our increasing attachment to mobile devices and applications goes to show that we are cultivating a culture that prioritizes efficiency. The ongoing movement towards visual media is a reflection of our desire to communicate in the most efficient way possible – so instead of saying “ha ha ha” we can simply send an emoji that laughs for us. For more articles check out our blog and subscribe to our weekly digest. Thanks for reading!